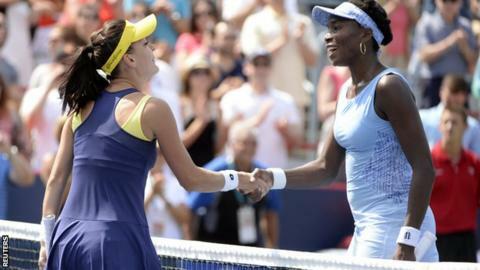 Agnieszka Radwanska swept aside Venus Williams to win the women's singles title at the Rogers Cup in Montreal. "I really had an amazing week," said Radwanska, 25, who defeated Victoria Azarenka and Ekaterina Makarova on her run to the final. "I didn't imagine that I would get to the final," she said. "I fell a little short today, but it's been a wonderful week." Both players will now compete in this week's Western & Southern Open in Cincinnati.